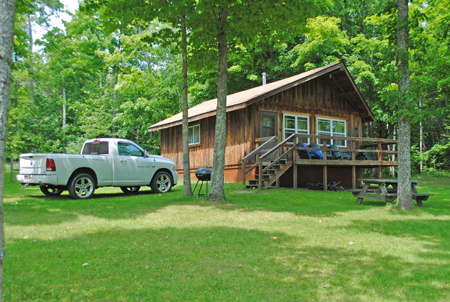 Sherman's Resort offers great Curtis MI Lodging with a variety of cabin rentals - Chalets and Cottages. Situated directly along the South Manistique Lake, our Upper Peninsula Cabin Rental offers year-round outdoor opportunities for all ages. 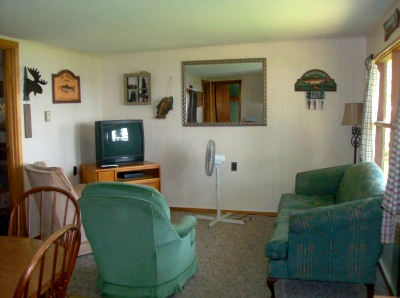 Our Curtis Michigan Cabin Rentals - Cottages and Chalets are shown below. 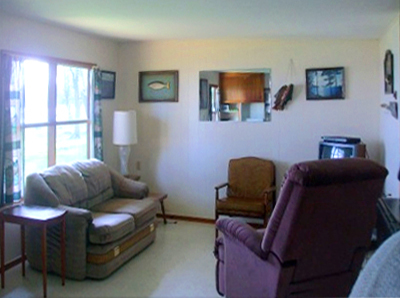 Our two bedroom chalets offer spacious accommodations with vaulted / cathedral ceilings, large windows with views of South Manistique Lake, large decks, along with large private lots surrounded by nature. Our furnished lodging includes bath and shower, furnished kitchens, gas ranges, , gas wall heater, comfortable beds and bedding. Extras include, picnic tables, fish cleaning house, freezer for storing fish, charcoal barbecues, camp fire pits, and 1,000'. Horseshoe pit is located between the 2 chalets. Make sure that you bring personal towels and paper products. Below you can view our rates. Our Chalets have 2 bedrooms, each with a full size bed along with a couch for another guest. Sleeps up to 5 comfortably. Onsite Ice and Wood for sale. 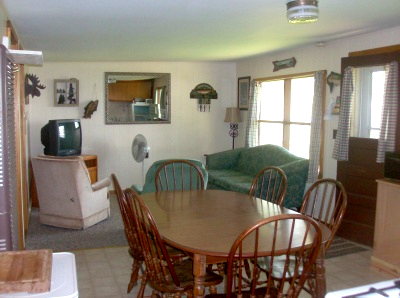 Our Curtis Michigan Chalets also feature a nice kitchen and living room area. 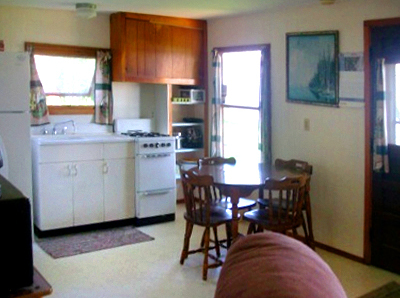 Our two bedroom cabins have spacious accommodations with beautiful views of South Manistique Lake. Our furnished lodging includes bath and shower, furnished kitchens, gas ranges, , gas wall heater, comfortable beds and bedding. Extras include, picnic tables, fish cleaning house, freezer for storing fish, charcoal barbecues, camp fire pits, and 1,000'. Make sure that you bring personal towels and paper products. Below you can view our rates. 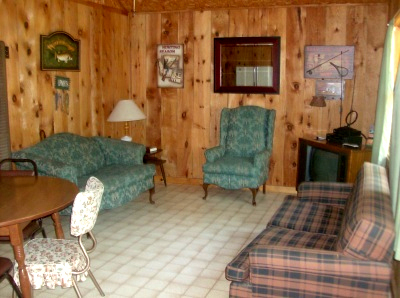 Our cabins have 2 bedrooms, each with a full size bed along with a couch for another guest. Sleeps up to 5 comfortably. 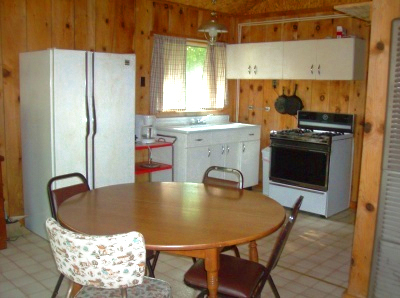 Our Curtis Michigan Cabins also feature a nice kitchen and living room area. 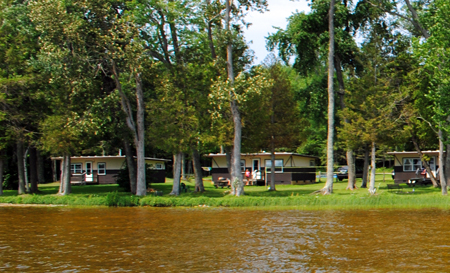 Our three bedroom cabins have spacious accommodations with beautiful views of South Manistique Lake. 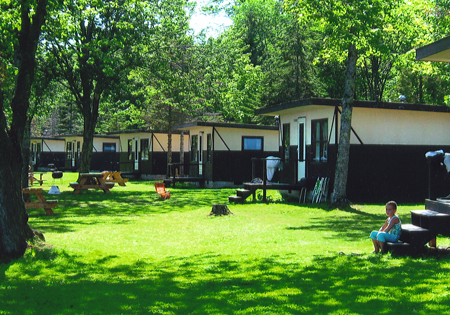 Our Three Bedroom Cabins have 3 bedrooms, each with a full size bed along with a couch for another guest. Sleeps up to 7 comfortably. Pet fee $75.00 per pet. A $250.00 deposit per cabin is required to hold your reservation. We need a month and a half cancellation prior to arrival.